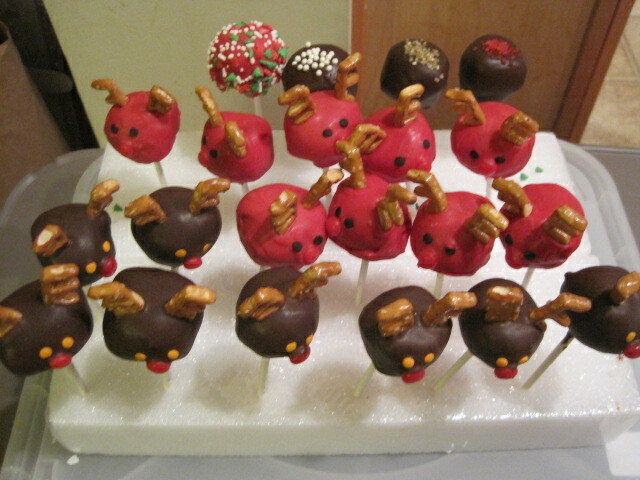 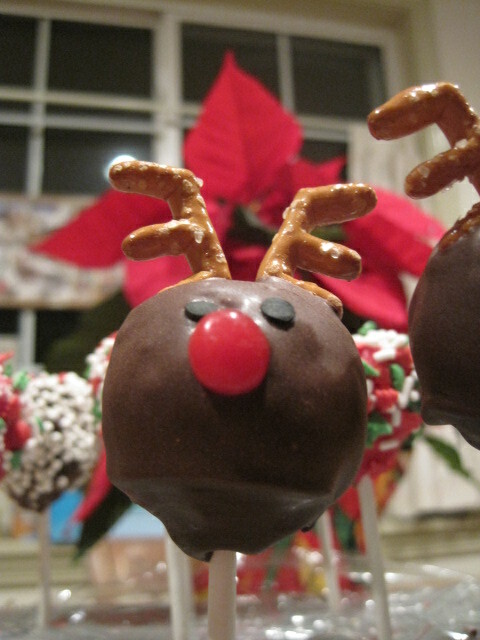 After making basic cake pops I decided to do Reindeer for our son’s December birthday, and he took them to school instead of cupcakes. 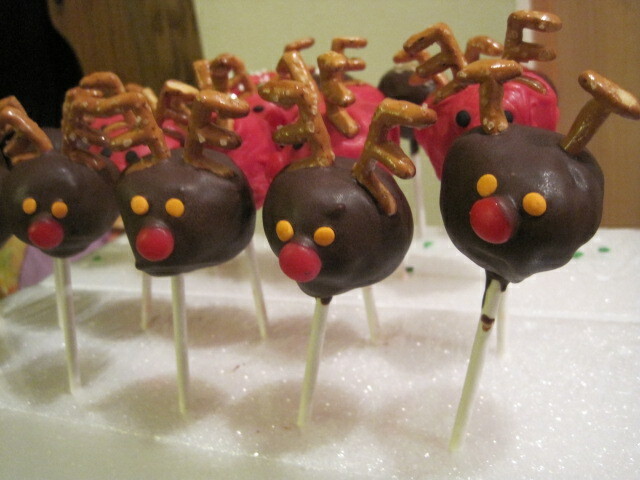 They aren’t as cute as Bakerella’s Rudolf, but I’m pretty proud of my attempt and our son loved them! 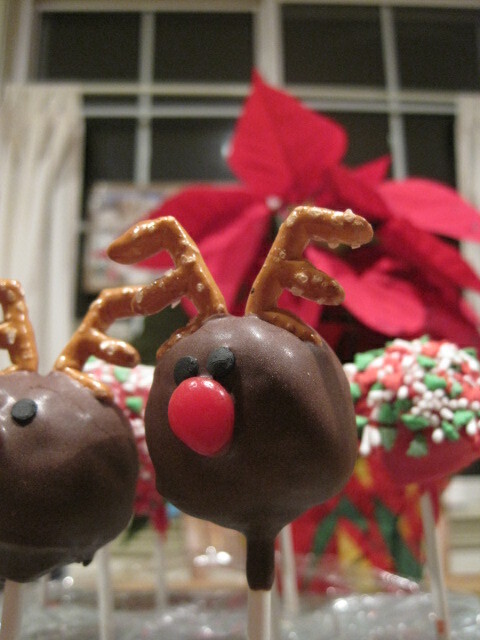 We ran out of milk chocolate for dipping, and then ran out of Alphabet pretzel “E” letters, so we got creative and used “F” and “T”. 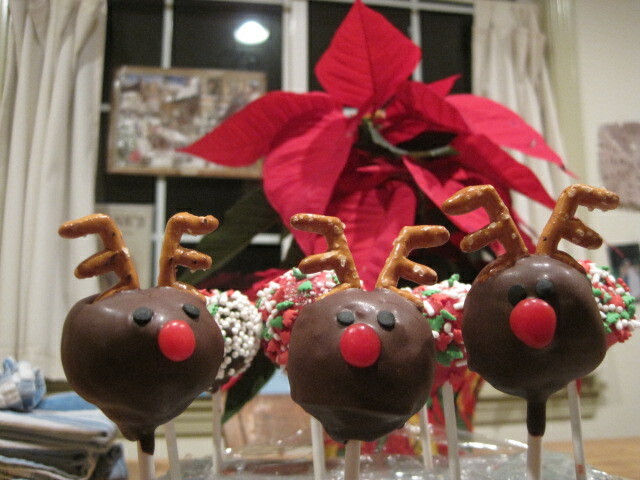 The kids had fun and the preschool friends didn’t care – they were just psyched to get a cool treat! 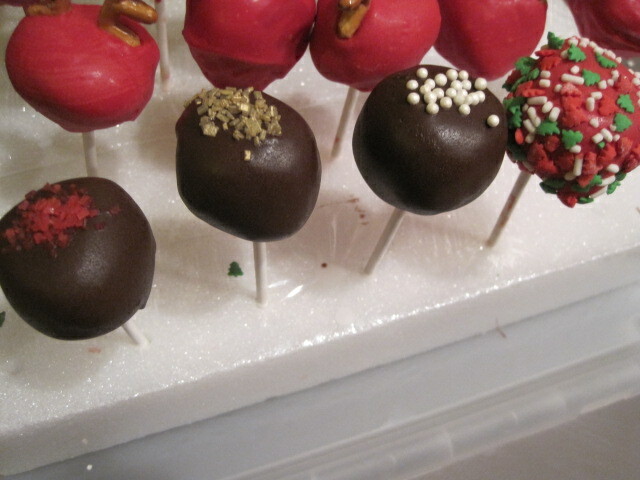 And we made a few “fancies” for the teachers!